TALLAHASSEE — Gov. 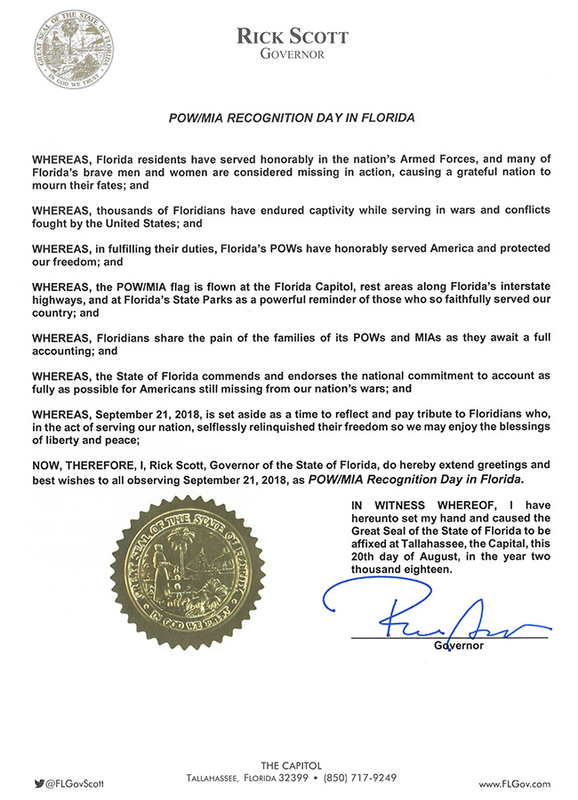 Rick Scott has signed the 2018 POW/MIA Recognition Day Proclamation. The POW/MIA flag is flown at the Florida Capitol, rest areas along Florida’s interstate highways and at Florida’s State Parks as a powerful reminder of those who so faithfully served our country. Sept. 21 is POW/MIA Recognition Day in Florida.